by 3rd Degree Black Belt and UKBJJA Head Referee, Marcelo Coppa. Every BJJ instructor and would-be referee needs to have a solid understanding of first aid and how to manage the risk of injury. Don’t get caught out! 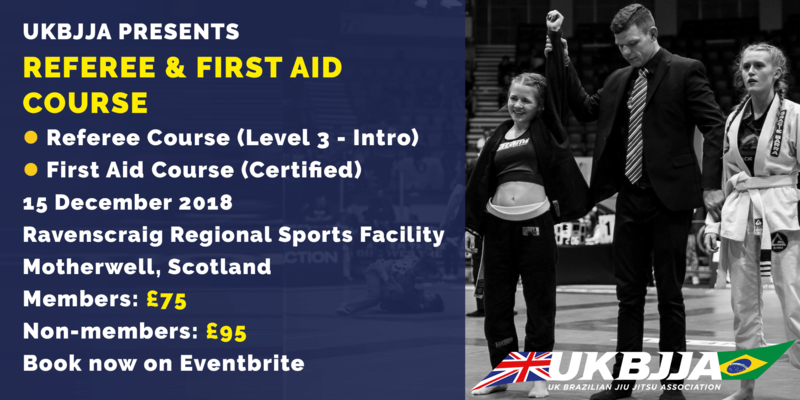 This course is ideal for anyone attending the UKBJJA International Open on 16 December. LIMITED SPACES, SO BOOK NOW!